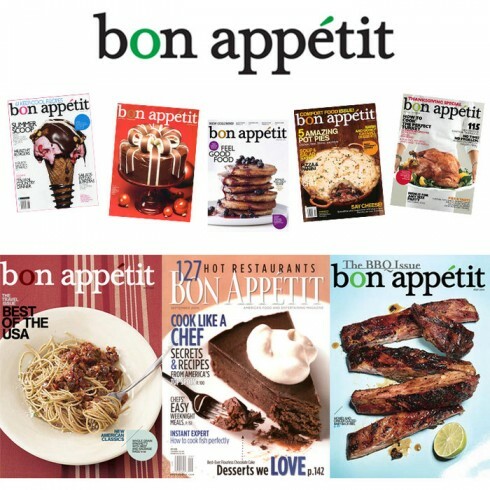 Bon Appetit Magazine for only $4.99/Year! Here is a deal that we don’t see too often, and this is such a great price! This offer expires at 10pm EST tonight 10/27. About Bon Appetit Magazine: Bon Appetit is THE guide to fabulous food. This magazine subscription is America’s leading food, wine, and entertainment magazine. Each issue is filled with a range of recipes from easy to fine dining, elegant entertainment ideas, and wine reviews. Bon Appetit will teach you how to cook like pro simply.